We love Japanese food so much here at The Urban List that we could pretty much fly to Japan every week just to savour the fare. Unfortunately, this isn’t so realistic, but luckily, we can find a slice of Japanese culture on our doorstep with authentic food and drink experiences. 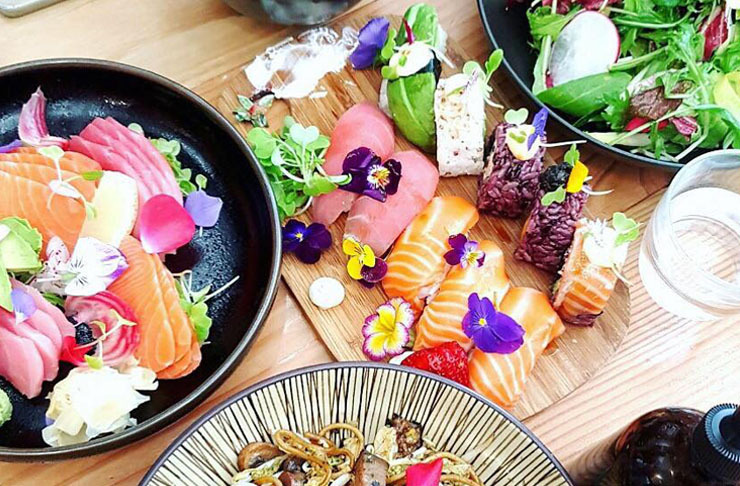 And so, whether you’re seeking out sushi, sashimi or sake, we’ve scoped out the best Japanese restaurants in Auckland. First up on the list is Kushi, tucked away downtown on Durham Street West. This kitchen and bar serve modern, Japanese fare that diners can enjoy amongst the classy restaurant surroundings. There are two openings throughout the day—lunch from midday until 2.30pm and then it reopens at six in the evening for dinner service. On the lunch menu, there’s a variety of bento boxes, including chicken katsu, crispy tofu and sashimi. Kushi also offers lunchtime tapas, to mix and match if you are in a group. It includes mouth-watering maguro tataki, salmon tartare and spicy tuna sashimi. There are also extensive rolled sushi and sashimi options. Finish with a matcha ice cream or banana tempura with ice cream. If you can’t stay long enough, don’t worry as there is a takeaway section. Things go up a notch at dinnertime. With a variety of shared dishes, there are also fusion options such as miso-glazed fish, karaage chicken and unagi kabayaki steak. If you love a good hot pot, you have the option of spicy or non-spicy. If all the choice is making you nervous, opt for the dinner set. Served with tempura, four pieces of sashimi, nigiri, rolled sushi, salad, seasonal fruits, steamed rice and miso soup, it will hit the spot. 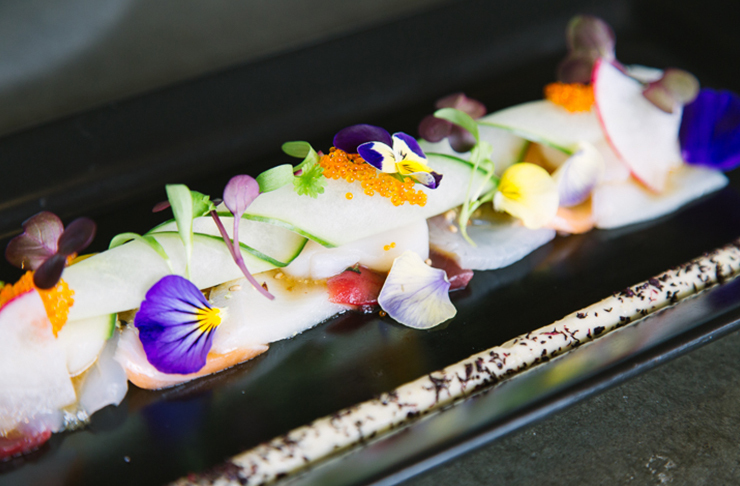 Britomart is home to many restaurants serving up delicious fare, and Ebisu is no exception. Bringing together the best of Japanese and European techniques, this award-winning restaurant offers a mix of new-style sushi and sashimi as well as traditional Japanese dishes. The restaurant itself is stunning, with exposed brick, hanging lights and natural tones. The food at Ebisu tastes as good as it looks. For lunch, there is an extensive menu, with sashimi, both hot and cold small plates and large plates. The latter includes pan-seared Glory Bay salmon, served with grapefruit soy, miso mascarpone, sauteed vegetables, caramelised grapefruit with mandarin salmon skin. There is a range of sides and tempura delights as well as bento boxes and sushi. If you’re in a rush, the express menu is perfect—with miso soup, seared Angus beef tataki, three pieces of the market fish sashimi, or a tonkatsu cup for the entree, choose between the chicken, scotch fillet or market fish for the mains and enjoy a scoop of sorbet for dessert. For dinner, there are plenty of set menu options for both meat eaters and vegetarians and vegans. Or, if you’re feeling adventurous, try the tasting menu that captures the essence of Ebisu with a multi-course, shared plate experience. Take things up a notch and have premium sake to match. If you’re after drinks, then make the most of the long, stunning bar and order one of their sake. It’s a list that’s been put together by Wayne Shennen, New Zealand’s first Advanced Certified Sake Professional. Together with Nakashima Brewery, they have a unique sake created with New Zealanders and local produce in mind. If you prefer wine, beer or spirits, there’s plenty on offer at Ebisu. One of Auckland’s best Japanese restaurants, Ebisu is a must. Another spot that is the cream of the crop of Auckland Japanese restaurants is Nic Watt’s MASU. Located in the Federal Street dining precinct, this Japanese robata restaurant and bar offers a bold and distinctive style of Japanese dining. Dishes are prepared in three separate areas of the restaurant—the sushi bar, the kitchen and the robata grill, with the robata grill being the cornerstone of MASU. The restaurant’s menu includes smaller dishes made for sharing, as well as those more hearty dishes that you wouldn’t mind digging into on your own. For a truly mouth-watering and authentic Japanese experience, head to Newmarket’s Heizo Teppanyaki. The restaurant is small and you can watch as the food is prepared before you. The experienced and friendly chef chops and cooks on the teppanyaki grill, with seating around it. If that's full, then there are a number of other tables. There are a number of other tables if that is full. The waitresses dress in kimonos and are welcoming and friendly. Oozing with authentic charm, the menu is relatively small but absolutely delicious. The teppanyaki set menu offers miso soup, fresh green salad, yum yum prawn appetizer, teppanyaki vegetables and steamed rice. Choose between the likes of eye fillet steak or chicken thigh and it’s a dream meal. 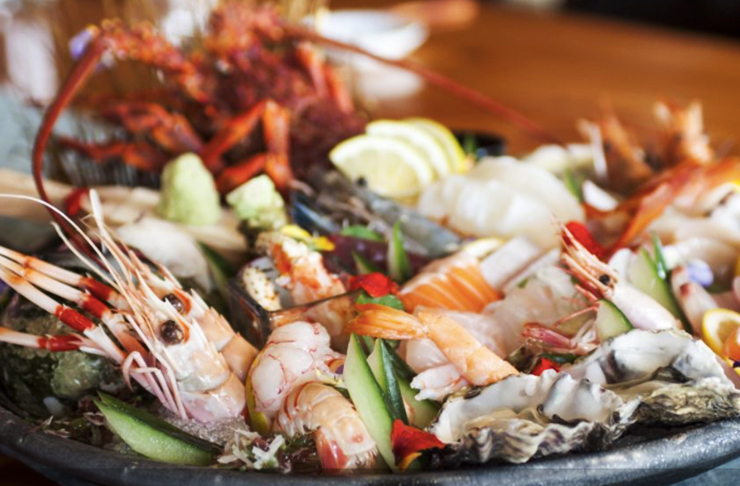 Taking Auckland's Japanese food by storm, Haru No Yume has an all-you-can-eat buffet. Walk into the modern restaurant and you’ll be greeted with a friendly smile. The generous space is decked out with dark wooden furnishings, exposed concrete walls and pops of Japanese décor. Paper lanterns and umbrellas hang from above and bottles of sake sit proudly on display. The magic happens at night when Haru No Yume’s buffet comes to life. For $49, devour all the Japanese goodies your heart desires. Rest assured, this buffet is about quantity and quality. Start with appetisers such as salted edamame and moreish lotus chips before digging into a large platter of sashimi. You’ll devour countless slices of salmon, tuna and whatever else the fisherman brought in that day. Load your plate with tempura prawns, sushi and—let’s be honest—it wouldn’t be Japanese without karaage chicken. The star of the buffet is the traditional shabu-shabu hot pot. Adding an interactive element to dinner, pick and choose your veggies before adding to your very own cooking pot. The result? A comforting—and delicious—broth. Finish off with dessert (yes, this is also included) and wash down with sake from their extensive drinks menu. It is also open for lunch, with bento boxes, tempura delights and sashimi and sushi. Fresh sashimi, sushi, tempura, soft shell crab and many more Japanese favourites are on the menu at Izakaya-style restaurant, Sake Bar Nippon. If you’re eager to learn a thing or two about Japanese cooking, grab a seat where you can, and watch the chefs preparing your dishes. This is a hands-on experience with fun and friendly staff, lots of noise from the customers and even drummers. The menu features items for meat lovers, vegetarians and pescatarians. With sashimi, delicious appetisers there’s also a big range of sushi, skewers, tempura items and large dishes. If getting up on stage and testing your singing skills sounds like you, then this is the place for you. After you’ve enjoyed a satisfying and tasty meal, washed down with sake and infamous beers such as Asahi, let the liquid confidence do its thing and make your way to the mic to put on a show and elevate the Japanese experience for everyone else in the restaurant. 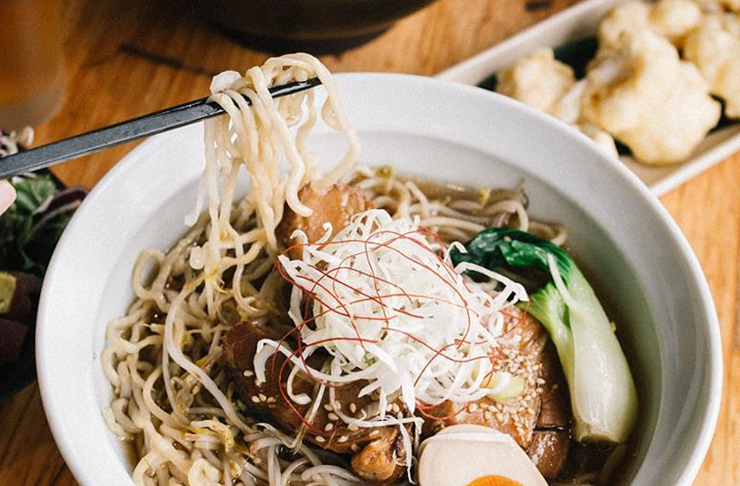 The popularity of their first restaurant in Browns Bay led to the opening of Ramen Takara’s Ponsonby location. A lot of work goes into the ramen, with the noodles made daily, using quality local ingredients and the broth is prepared every morning over three hours. Ramen Takara is known for their Spicy Black Tan Tan Ramen as the spice adds an extra kick and sourness to the ramen without taking away the Japanese authenticity. If you were looking for something a little more experimental, they do a tom yum ramen dish which jam-packed with flavour. Ramen Takara also serves fresh salad ramen for those who want something a little lighter and it caters to vegetarians as well. Another Japanese joint that has done so well they have opened up a second and recently a third spot is &Sushi. There is an endless number of venues to buy sushi in Auckland, but this venue is the next level. With a sushi bar in both Newmarket and City Works Depot, the venues are sleek and minimalist—perfect for when hunger strikes during the workday. But at &Sushi, while they make the prettiest and possibly tastiest sushi in town, their food offering is so much more. Their donburi comes in a range of options, including teriyaki tofu and bulgogi beef, in a bowl of quinoa, broccoli, edamame beans, mushrooms, carrots, Chinese cabbage, pickled ginger and gluten-free may. If you’re big on the keto diet, opt for one of their protein salads. Their noodle soups with broccoli, mushroom, carrot and Chinese cabbage in tsuyu broth is pure heaven. Other options include salads, stir-fried fresh noodles as well as sides such as kimchi and nori chips. 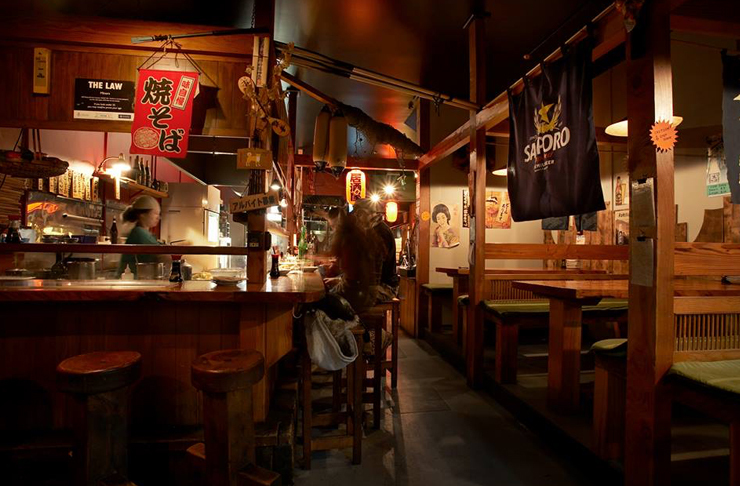 Down some stairs and tucked away in Parnell Village is one of the best Japanese restaurants in Auckland. 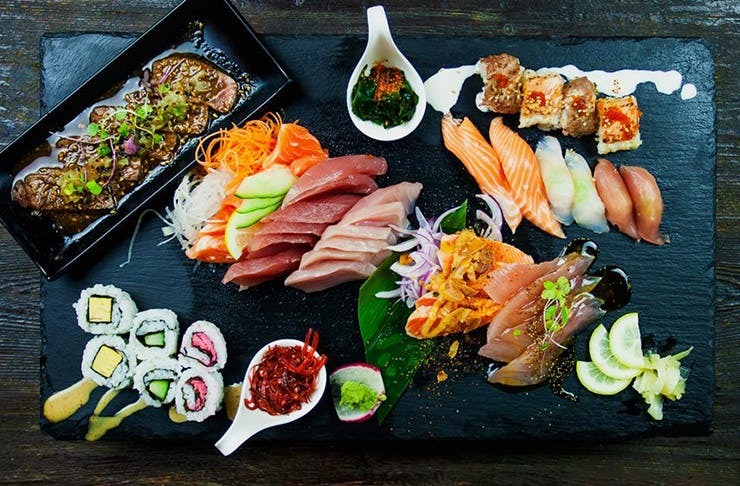 Open for lunch and then again for dinner service, Moto Sushi Bar is on the more cosy side but the menu is as long as your arm, with all your favourites available in a range of flavours. With sashimi, sushi and bento boxes as well as special food combinations, there’s something for everyone. They also serve mouth-watering udon, ramen and yakisoba, or pan-fried noodles. Choose between the likes of salmon, chicken or vegetarian. Naturally, there are tempura options as well as donburi on rice with choices such as unagi (eel), chicken katsu and tofu. And, if you’d rather dine in the comfort of your own home, you’re in luck as takeaways are an option. For something a bit fancy, this European Japanese fusion restaurant, Kazuya is worth splashing those dollars on, and it has the accolades to prove it. Using a unique process of low and slow-roasting for meat, as well as deploying traditional Japanese methods for preparing fish, the chefs here know their stuff and you won’t be surprised to know that it looks as good as it tastes, with all plates thoughtfully presented down to the last detail. Looked at from the outside, Ponsonby’s Azabu is unassuming behind a blue wall. But step inside and you’ll discover a vibe that is industrial and grungy while also sleek and cool. The narrow dining room faces the open-plan kitchen, where you’ll be able to watch the highly skilled chefs create their art. They use metal chopsticks to delicately plate each component of the dish and never fault under pressure. But don’t let elegant presentation fool you—the flavours of each dish are punchy and complex. 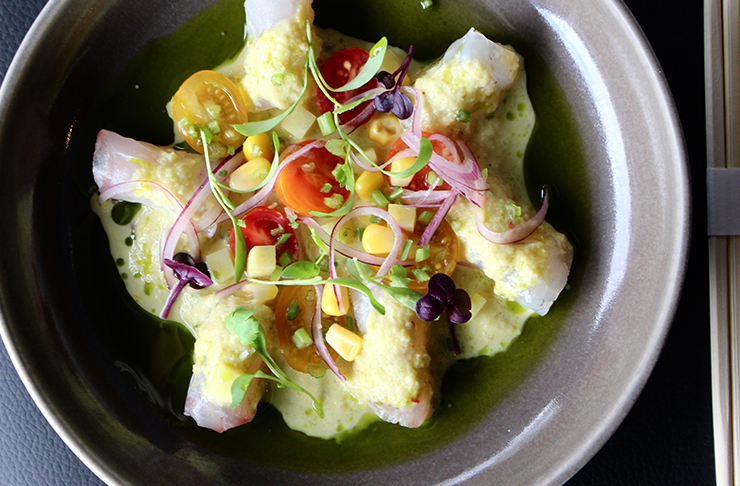 This specialised Nikkei cuisine was born in Peru thanks to the growing Japanese settlers. It’s a harmonious marriage of Japanese ingredients and cooking methods with playful hints of South American flavours. Open for both lunch and dinner, there is an emphasis on the fun and the interesting. The plates are made for sharing, with two different menus, depending on the size of your group. They often say two minds are better than one, so when two award-winning Japanese chefs decided to join forces, it could only be a good thing. Zool Zool was envisioned as a place where diners can enjoy authentic ramen and quality sake and that’s exactly what they’ve done. However, the Noodle House and Izakaya bar bring much more than just ramen and sake to the table, with chefs Toru Hirae and Kazuya Yamauchi curating a menu consisting of their favourite Japanese tapas, desserts, wine and whiskey. Down a quiet side street off the not-so-quiet Ponsonby Road is Coroco, serving new-style Japanese cuisine in a cosy, yet contemporary setting. The restaurant places importance on providing an “Ichi-go Ichi-e” experience, in essence meaning “treasure every encounter, for it will never recur.” A range of menus are on offer—a degustation course, sushi sashimi course, signature course as well as an à la carte option. Tucked away in the CBD lies one of the best Japanese restaurants in Auckland—yes, it's that good. Industry Zen knows how to please the people, understanding that a decent teriyaki chicken is enough to make us Aucklanders shed happy tears. Paired with some edamame, takoyaki and some insanely good spring rolls, eating out doesn't get much tastier than this. This bustling joint is the perfect dinner spot and one of the best Japanese restaurants in Auckland—it helps that the food is presented to perfection. Feeling particularly hungry? Here's where to find Auckland's best all-you-can-eat restaurants.